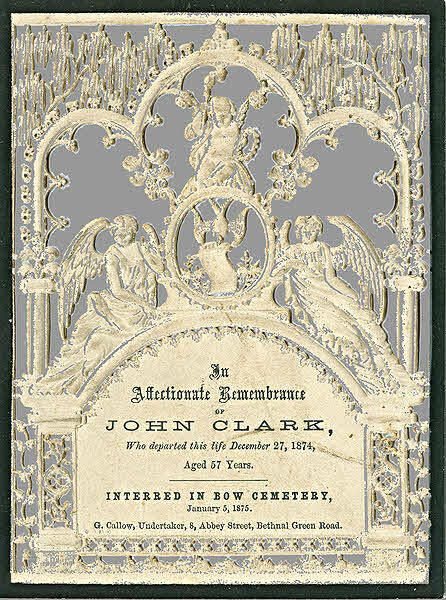 Elaborate memorial card for John Clark who was buried in Bow Cemetery in 1875. Presumably its official name City of London and Tower Hamlets Cemetery was too long winded for locals who simply called it Bow Cemetery. The last of the "magnificent seven" London cemeteries to open (1841) it received hundreds of thousands of burials before it closed in 1966. 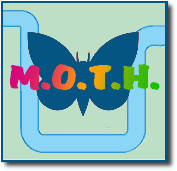 Now "resurrected" as Tower Hamlets Cemetery Park it also provides 33 acres of woodland walks.